This is the second waterproof case that we have tested for the iPhone and the Otter Box Armor is the latest apocalyptic proof case... well, almost to protect your Smart Phone from a variety of conditions and maybe the odd Zombie attack. The case also allows your iPhone 5 to be submerged in water of up to 2 metres for 30 minutes, can be dropped from a height of 3 metres, prevents dust or snow from entering the case and is crush proof of up to 1.8 tonnes. We didn't test the later but we did the first three. 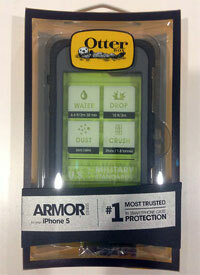 Otter Box also claim that the case has been designed to meet U.S. Military Standards and comes with a step by step guide of how to install your iPhone 5 into the Armor Case. Before installing your iPhone 5 into the case, the manufacturer recommends that you submerge the case in water for at least 30 minutes before installing your phone into the Armor. This is to ensure that there are no defects with the case. Opposed to the Life Proof, the installation of the Armor is a little easier and fortunately the 9 step illustrated instruction guide assists in this process. 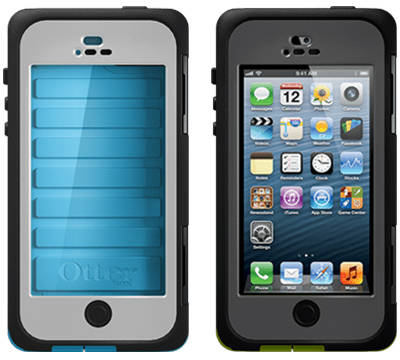 I also like how the Armor is easier to get your iPhone 5 in and out of the case compared to the Life Proof. To install your iPhone 5 into the case, you first need to unlock the two latches on the right hand side of the case which then opens the case for you. There is also an option to install a lanyard. Once the iPhone 5 is inside the case, you simply just close the case and lock the latches. When your iPhone 5 is installed inside the Armor, it does add some additional weight (110 grams) and size to your Smart Phone but this is really a moot point. The Armor has a built in screen protector and if your iPhone 5 stayed in this case for the life of your phone, it would virtually be brand new once you upgrade to the iPhone 5S or 6. So how does this technology all work? 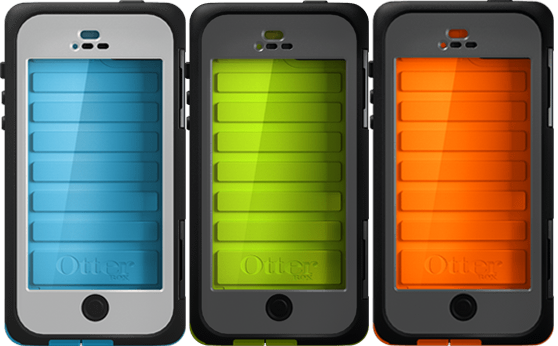 The case basically has a silicone bed for the iPhone which absorbs shocks should you accidentally drop your phone. It has reinforced plastic which according to Armor can withhold up to 1.8 tonnes of weight. Thankfully you have full access to ports such as audio, charger and all buttons. I must admit that the screen does reduce some of the accuracy when using your iPhone but until Apple design a phone with all of the above, this is a small price to pay. With that said, the product retails for around $99USD (June 2013). Check it out if you're after a phone to withhold shock, water and pressure!